Our Company is called Movers Best and we are standing by in order to offer you the most impressive services for the best prices. We’ve been serving the needs of Fullerton residents for years and we’re a trusted and respected moving company in Fullerton. You’ll feel safe choosing us. As well, we offer some great options to our customers, including different levels of insurance and different levels of support during moves. If you want us to move your stuff after you pack it up, we’ll do this and also provide you with free packing materials. If you want us to take care of packing and unpacking, as well as assembly and disassembly, we’ll be happy to oblige. A moving company should be dedicated to pleasing you and meeting your needs. When you hire Movers Best, one of best professional moving companies in Fullerton, you’ll access that kind of dedication. Our Fullerton moving company is here in order to ensure that your needs are met and our technicians are very polite, clean and well-groomed. They will care for your possessions as though they are their own and ensure that every detail of your move is handled appropriately. Our team members are very hard-working. We’ve chosen every person on our team based on strong work ethic and positive attitude. All of our team members have extensive experience and some have been helping clients to move for years. These strong and capable staff members will be there to take care of the hard work for you. You may know what you want from a moving company already. For example, you may be planning a long distance move and want a full complement of packing and unpacking services, as well as assembly and disassembly. Every client is different and some know what they want. 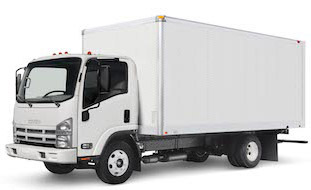 Others need help and guidance from a moving company in Fullerton. If you know what you want, we’ll give it to you. If you don’t know, we’ll offer suggestions which are sensible. This is where experience comes in. We’ve handled countless moves to and out of Fullerton and we know what’s best. We are happy to be considered one of best professional companies. This is why we are the right Fullerton movers for you. Are you ready to hire the best moving service? If so, you should know that our service representatives are standing by to take your call or answer your email. Fullerton professional moving service is all about great communication, so you’ll find that we respond promptly and politely. The best way to prepare for a move is to contact our company today. We’ll find the best truck or van from our large fleet and we’ll be there to arrange for any other services that you need. We’re very organized and efficient and we want to help. It’s all about giving you support, advice and services. Now that you know more about our company, why not reach out to us today? We know that moving can be stressful and we want to make things easier for you. By offering you great communication, the right services, insurance options and so much more, we hope to reduce your stress level or eliminate it. Once you’ve tried our services, you’ll find that we really do earn our good reputation. Don’t settle for a fly-by-night moving company. Instead, hire a trusted company with the right infrastructure. When you do, you’ll be making a very smart decision. Please contact our friendly team today. We really look forward to helping you move.